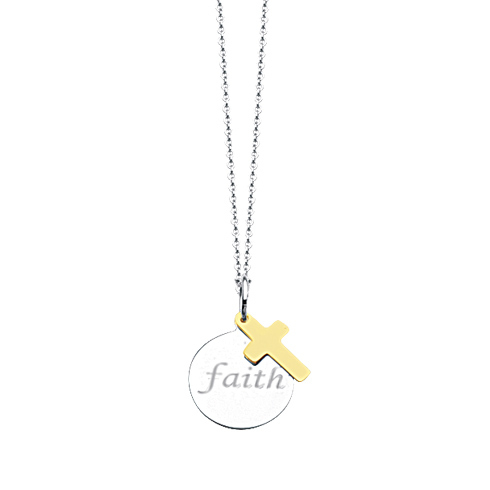 This sterling silver Faith disc necklace features a hollow 14kt yellow gold cross charm. Disc diameter: 18mm, the size of a dime. Disc and charm are attached to an 18in rope chain with lobster clasp. Item weight: 2.2 grams. Import.